Dark Squirrel Girl: The Contest. | The Sketchcard Saloon. ← Squirrel Girl In A Video Game For Real. Here at the Sketchcard Saloon, we love the people at Marvel Comics. They pay attention to the community. They recognize the throngs of Squirrel Girl fanatics around the world and they tickle us until we bust a gut. This time they took it over the top. In an interview about the upcoming Avengers vs. X-Men event, Marvel Editor-in-Chief Alex Alonso turned a question from the audience into one of the most intriguing possibilities in comic book history. 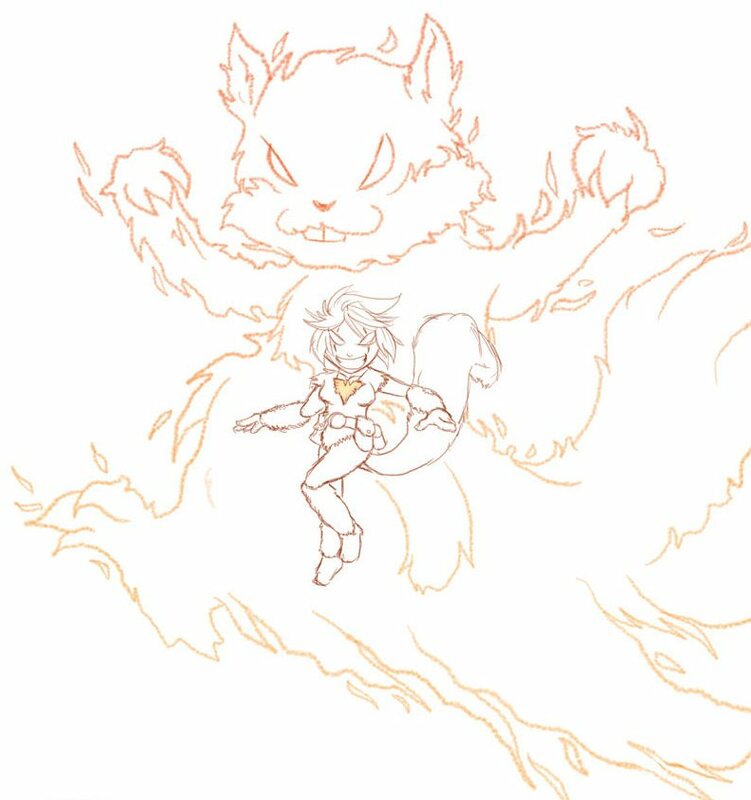 What if Squirrel Girl became the next host body for the Phoenix Force? With a wink and a nod, he even threw in a mock-up for added effect. The illustration above is an example of tantalizing tongue-in-cheek trolling of the highest caliber. We asked Axel who the artist was, on Twitter. He graciously supplied the culprit: Irene Lee, one of Marvel’s top bullpen production artists. Irene also happens to be the genius who created the following. That is, by far, one of the coolest things we have ever seen. 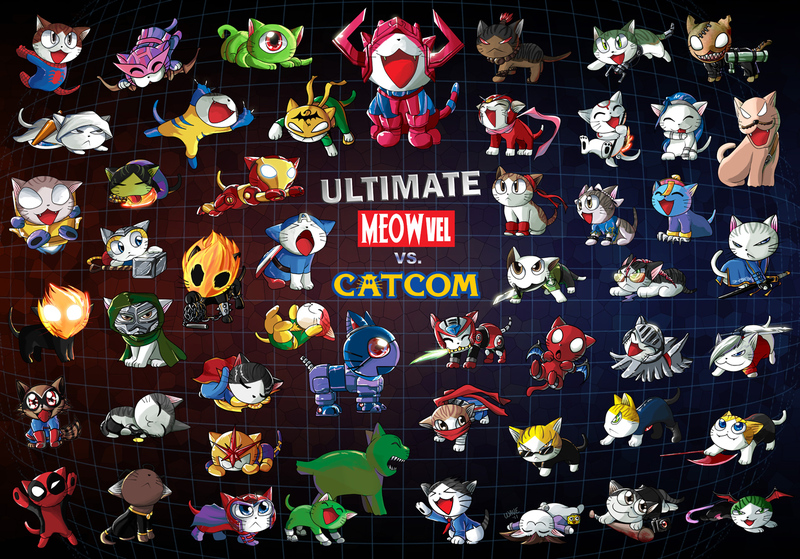 While we wait for next week’s Heroes and Heralds mode DLC for Ultimate Marvel vs. Capcom 3 to get us zoned, we will return to Squirrel Girl. And announce a contest. 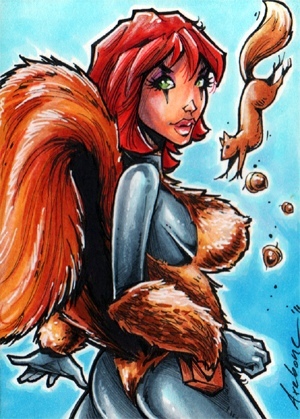 What WOULD a finished Dark Squirrel Girl look like? We want you to show us. Draw it yourself, ink and color Irene Lee’s drawing at the top of this page, or get your Photoshop on. Send us a scan of your version of the Phoenix Force incarnating inside the purity of Doreen Green, and we will publish the results right here in the Saloon. Prizes include Squirrel Girl comic books, the Marvel Super Heroes Comic Combat video game featuring Squirrel Girl, and official Rittenhouse Archives Squirrel Girl sketch cards. Everyone who enters will win something! Send scans of your Dark Squirrel Girl to: sketchcardsaloon@gmail.com Deadline: February 14th. One more tease, and then we will leave you to your own devices. 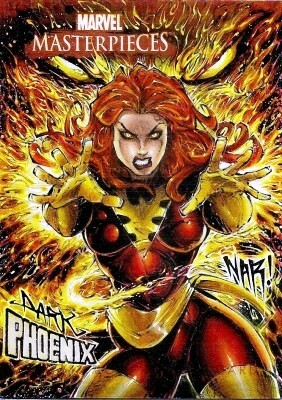 Jean Grey felt the power once upon a time, now it’s Doreen’s turn. This is going to be nuts. This entry was posted in Marvel vs. Capcom 3, Sketchcard Sweepstakes, Squirrel Girl and tagged Axel Alonso, Dark Phoenix, Irene Lee, Marvel Comics, Squirrel Girl. Bookmark the permalink.